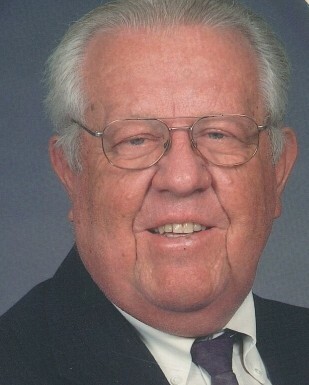 Robert "Bobby" Homer Bowden, 81, died Saturday, March 30, 2019 at his home. He was born in Wake County, NC a son of the late Annie Bell (Crenshaw) Bowden and Robert Riggin Bowden. A funeral service will be held at 3:00 pm Monday, April 1, 2019 at Harris Chapel Baptist Church, 2960 Tarboro Rd., Youngsville, NC 27596. Interment will follow at the Church Cemetery. Bobby married Carolyn Pernell 59 years ago on February 14. He worked for Lucent Technologies for 45 years. With his job he and Carolyn were able to travel across the United States. After his retirement you could find him sitting with his friends and sharing many stories at Frazier's Store. Bobby was a dedicated Deacon and Sunday school teacher for over 50 years at Harris Chapel Baptist Church. He loved his church family dearly. He had three children, which he thought the world of. Bobby is proceeded in death by his Daughter Tammy Bowden Wall and her infant son Christopher and his Brother William (Billy) Bowden. He is survived by his wife Carolyn, his daughter Belinda B McGhee (Randy) and his son Derek Bowden (Toni); 3 grandsons: Travis McGhee (Amy Blackmer), Trevor McGhee (Megan) and Reid Bowden; four granddaughters: Leslie McGhee Demers (Jeremy), Ashlyn, Emily and Taylor Bowden; three great-grandchildren: Brooklynn and Liam Demers and Colton McGhee. The family would like to thank everyone for all of the kind words, cards, prayers, visits and most of all the love shown to them during the last 2 years while he fought his tough battle with Pancreatic Cancer. In lieu of flowers the family ask that you make a memorial contribution to Hospice or Harris Chapel Baptist Church. The family will receive visitors following the committal prayers at the church cemetery, in the fellowship hall.